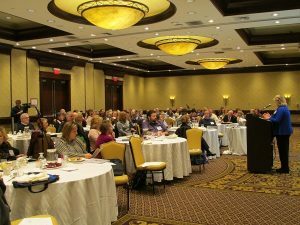 Rhode Island Association of School Committees > RIASC News > News > School Committee 101 – Well Attended, Informative Day! Over 100 members attended December’s School Committee 101! Seasoned and new members heard essential information from officials on best practices. Open meetings law, public record procedures, ethics, and the Key Work of School Boards were all covered. Also, attendees were provided with the unique opportunity to engage in conversations with their colleagues from around the State. RIASC commends our members who attended and showed their commitment to ongoing professional development. If you missed the session, be sure to view our videos on this website.